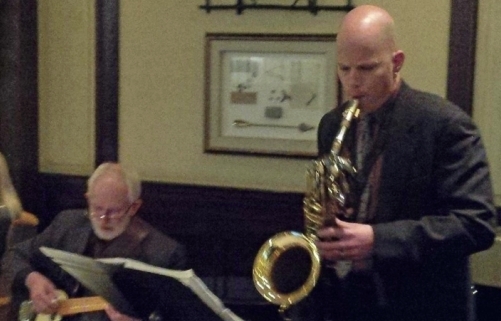 Keith Smith and I are back at the Oak Room in the Palliser Hotel for our last show of the 2014 season. If you haven't been the Oak Room is one of the BEST places to be on a cold December night. Soft couches, Oak, warm light and one of the best cocktail menus in the city. It's a great hang and even better room to play. Keith and I have really been working on our "sound" of late so come visit and check us out. 6-9pm, no dress code, no cover.